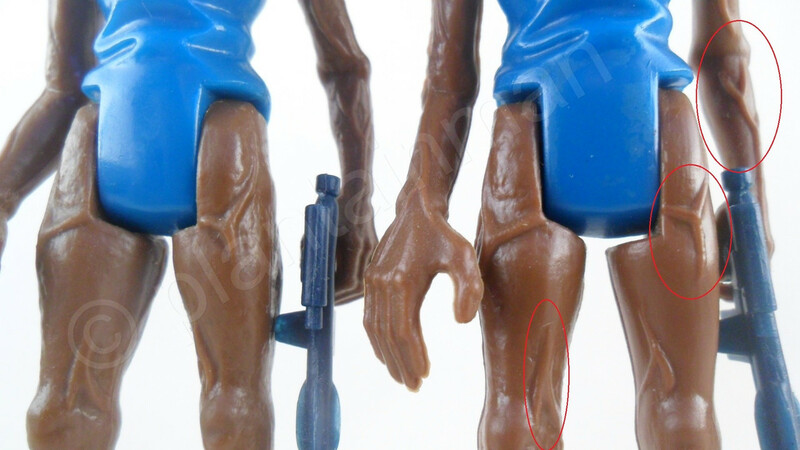 The Euro scar figures have a darker, more royal blue torso compared to the more aquamarine colour of the HK torso's. 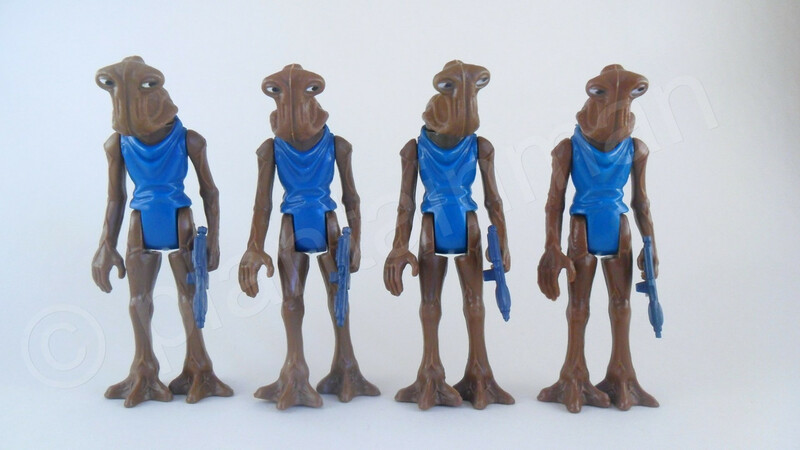 All of my Family II figures have 'eyes left'; It is only in family I that I personally have noticed a wide variety of eye variations. 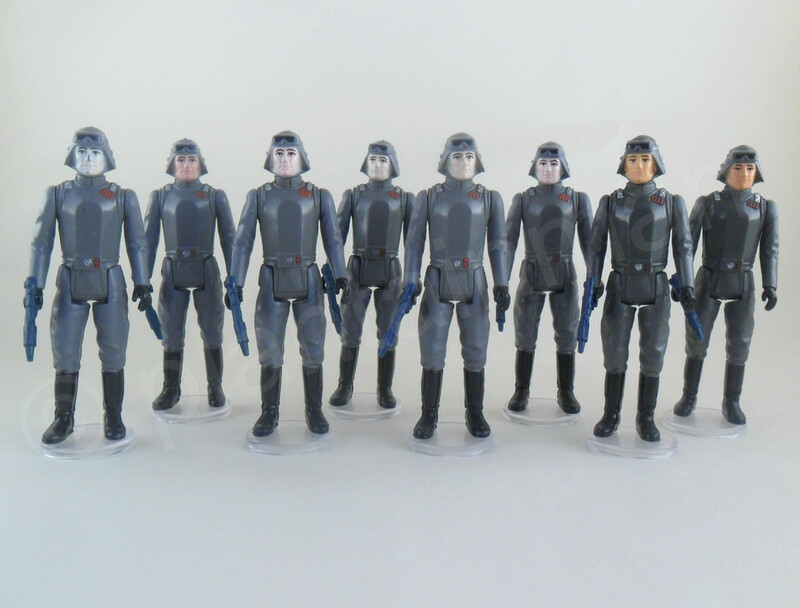 Has anyone got a lot of different 'eyes' in family II in their collection? Last edited by plantainman on Wed Jul 18, 2018 9:32 pm, edited 18 times in total. 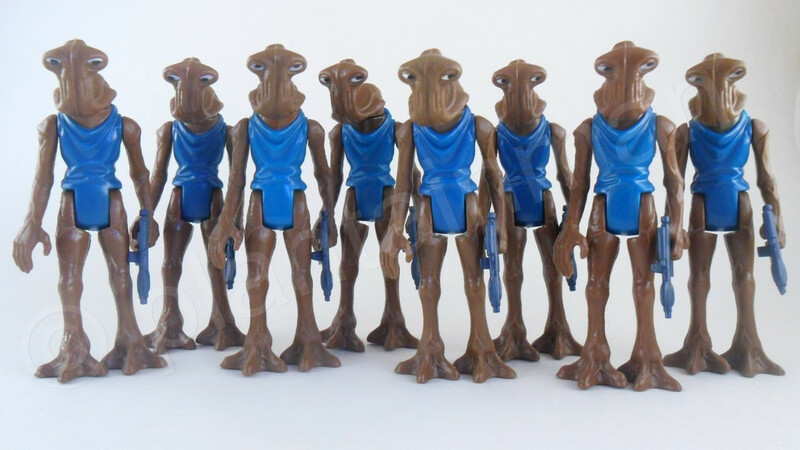 I love the Hammerhead figure. There's something about it that just ticks all the boxes. Maybe its the expressive, yet wonderfully simple eyes, I dunno! 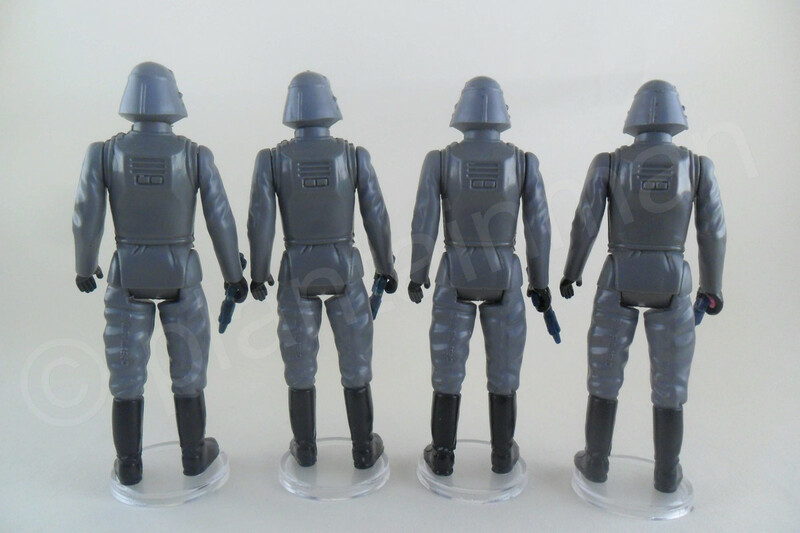 There are three main different NO COO's for the Nien Nunb figure, Small font smooth coo, Large font rough coo, and the Ledy variant, with the datestamp on the right leg. The small font smooth coo, which can be seen in the upper pictures below, has two slight alignment variations. These are much harder to find than the more common Large font rough coo that can be found widely around Europe. The small font smooth coo figures seem to be slightly more common in France, Make of that what you will as to what cards they appear on. 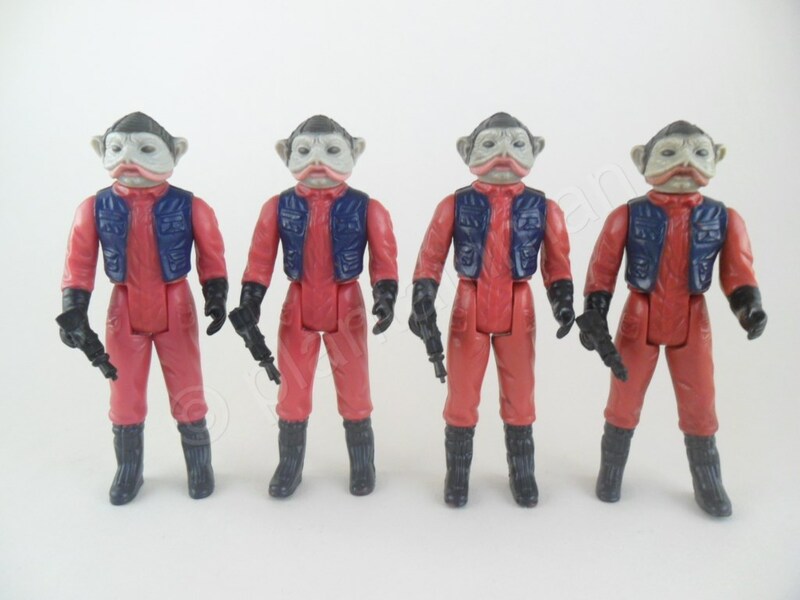 Below are all four of the NO COO Nien Nunb figures. 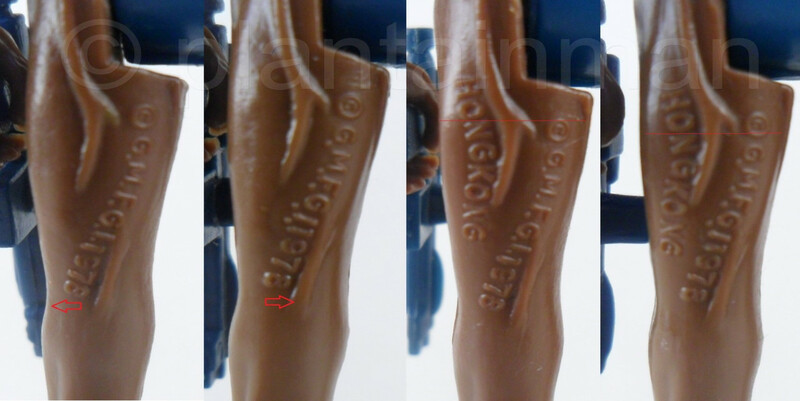 There's little to no variation between the two small font smooth coo figures outside of the coo alignment. 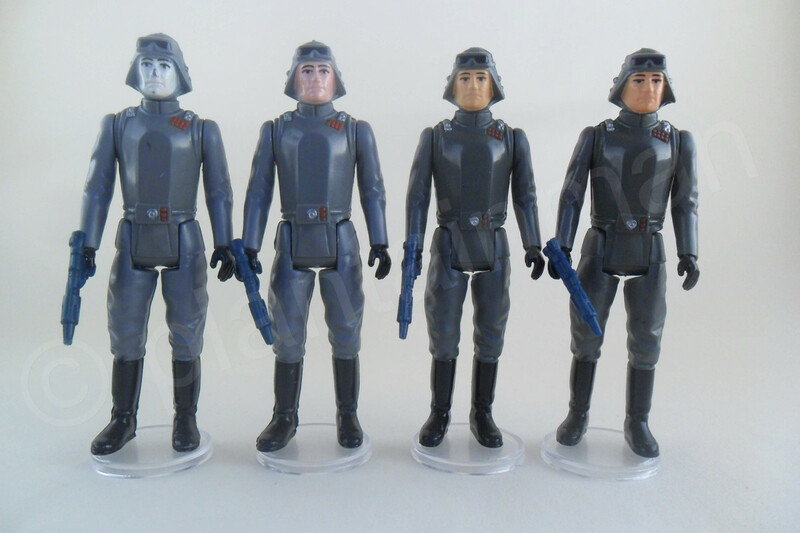 These figures tend to have slightly faded legs. The Large font rough coo figure is a distinctively different colour tone to the smaller font smooth coo. 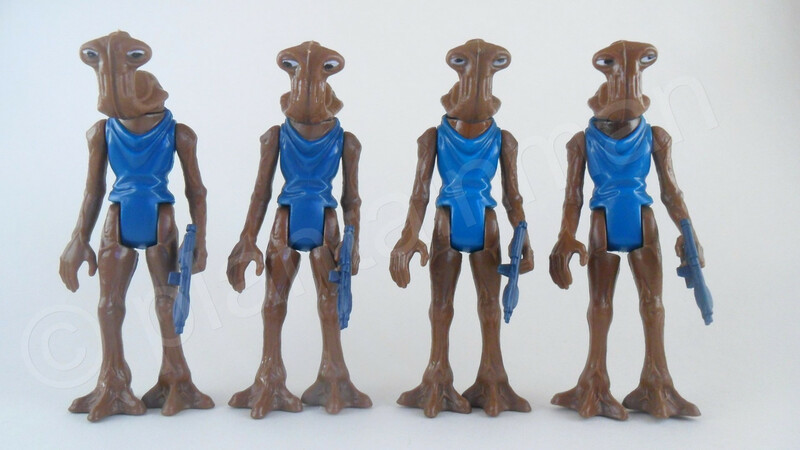 and benefits from an even colour tone between limbs and torso. 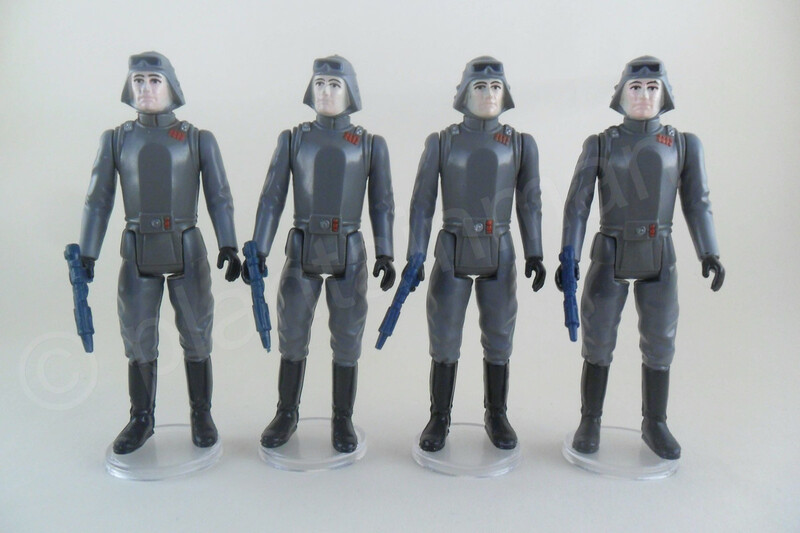 The Lili Ledy figure on the right has a different colour tone again, and is the deepest red tone of the lot. You'll notice the paint apps around the lips and eyes are significantly darker too. 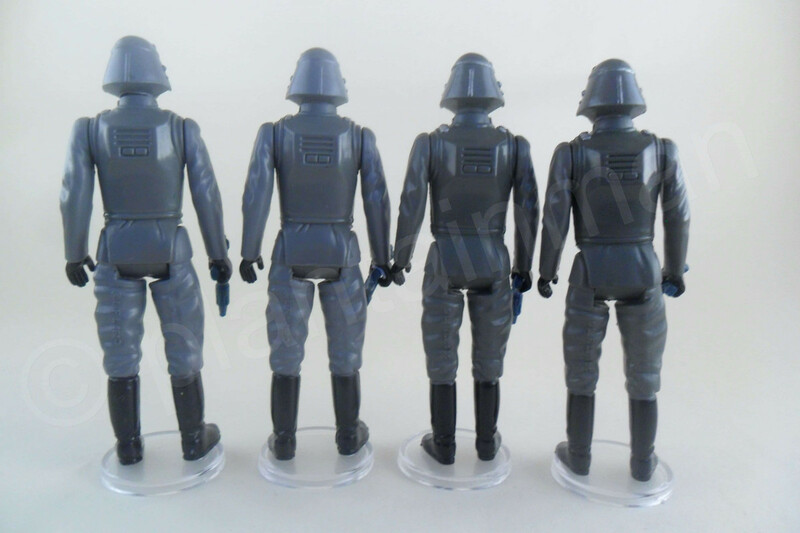 The Ledy figure is accompanied by a ledy specific black pilot blaster which is marked with LL. Last edited by plantainman on Wed Jul 18, 2018 9:51 pm, edited 10 times in total. Left to right, Family II With dots (circled yellow), Family II without dots, Family I L1b. 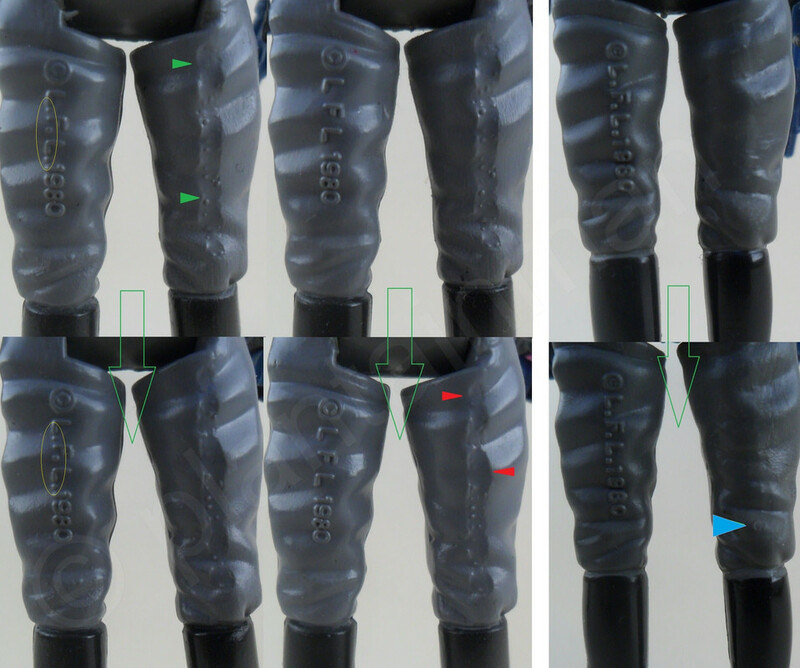 The green & red triangles differentiate the two different Euro scars which can be found on both Family II Left legs, whilst the blue triangle differentiates from the No Coo family I figure above it, showing a more prominent 'G' remaining. L > R, PBP white face, True pink face, four Euro scarred pale pink faces, Two Euro smoothed COO orange faces. Last edited by plantainman on Wed Jul 18, 2018 9:41 pm, edited 12 times in total. Last edited by plantainman on Mon Nov 07, 2016 2:01 pm, edited 1 time in total.